We live in a world full of rectangles—mostly because of convenience. Our bricks. Our buildings. Our screens. But we're round creatures, and we love curves. And for this week's Shooting Challenge, we're celebrating the antithesis of the square: The circle. Take a photo of a circle somewhere in the environment (it could be a place, thing, even person, that highlights this geometric shape). The best thing you can do during a challenge like this is train your brain to look for fascinating circles all of the time. Scan your domestic life or cityscape for visual surprises. Just looking around my living room, I spotted circles everywhere—knobs on a chest, dyes on a carpet, the lip on a mug. Spotting a circle shouldn't be hard. Spotting a captivating circle may be. Our lead image is from flickr's O Palsson. 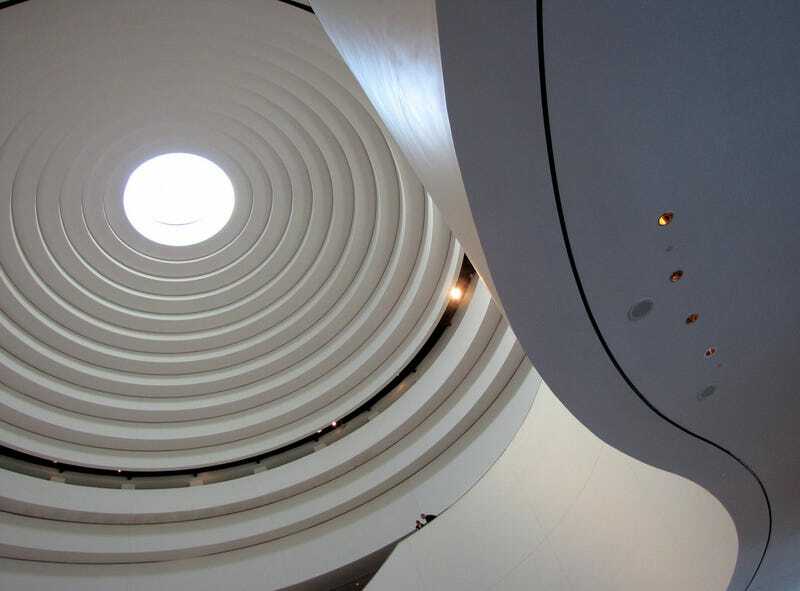 It's the ceiling at the National Museum of the American Indian, and a great piece of architecture. It's also, yes, a series of concentric circles. Send your best photo by Monday, June 2nd at 9AM Eastern to contests@gizmodo.com with "Circle" in the subject line. Save your files as JPGs, and use a FirstnameLastnameCircle.jpg (970px wide) and FirstnameLastnameCircleWallpaper.jpg (2560px wide) naming conventions.